Vitamin D is an important part of women’s health. Vitamin D regulates the amount of calcium and phosphate in the body, which are needed to keep bones, teeth and muscles healthy. Many studies are showing its significance in preventing chronic disease. It can help keep the immune system strong, fight off infections, and aid in calcium absorption. When the body is low in vitamin D, the health implications can be substantial – especially when it comes to the risk of developing chronic diseases, such as heart disease. Low vitamin D levels have been shown to be a risk factor for cardiovascular events and conditions, such as strokes, heart attacks, and congestive heart failure. There is also a strong association between healthy levels of vitamin D and a decreased risk of cancer. Vitamin D is especially important for the health of women and their unborn babies prior to, during,and after pregnancy. Deficiency of Vitamin D is a known risk factor for preeclampsia, which is a potentially serious and sometimes fatal condition for both mother and baby. Low vitamin D levels may also affect the healthy bone growth and development of a fetus in the womb. It is also important to note that newborns rely solely on their mothers for vitamin D. When a mother is deficient, the baby will be too. All pregnant women should be screened for vitamin D deficiencies early in pregnancy and again at approximately 28 weeks gestation. Those with low levels of the vitamin should be offered supplementation. 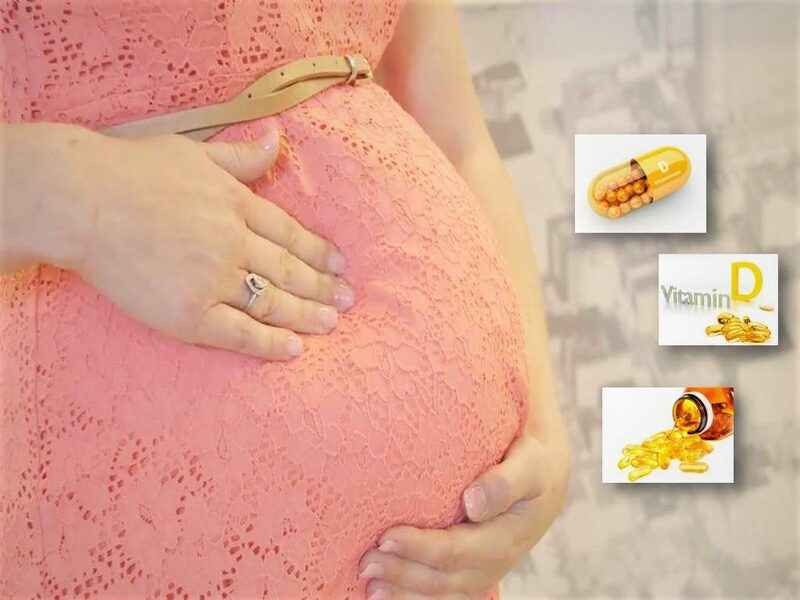 Though prenatal vitamins have some vitamin D, the levels may not be enough to provide adequate supplementation. 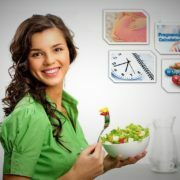 How much vitamin do I need daily during pregnancy? In 2010, the Food and Nutrition Board at the Institute of Medicine of the National Academies established that an adequate intake of vitamin D during pregnancy and lactation was 600 international units per day. Most prenatal vitamins typically contain 400 international units of vitamin D per tablet. Committee on Nutrition of the American Academy of Pediatrics suggested that a daily intake higher than 600 international units may be needed to maintain maternal vitamin D sufficiency . Although data on the safety of higher doses are lacking, most experts agree that supplemental vitamin D is safe in dosages up to 4,000 international units per day during pregnancy or lactation. Despite the health benefits of vitamin D and risks of deficiency, an estimated 40-60 percent of all women in the U.S. are low in the vitamin. There are many reasons for the high rate of deficiency, the most common of which is reduced sun exposure either due to sunscreen usage or simply spending less time outdoors. Obesity is another cause for deficiency; as large quantities of body fat have been shown adversely affect vitamin D levels. Exposure to sunlight. Vitamin D is made in the skin under the influence of sunlight. The amount of sunlight needed to synthesize adequate amounts of vitamin D varies, depending upon the person’s age, skin color, sun exposure, and underlying medical problems. The production of vitamin D from the skin decreases with age. In addition, people who have darker skin need more sun exposure to produce adequate amounts of vitamin D, especially during the winter months. Food. Another important source of vitamin D is foods, where it may occur naturally (in fatty fish, cod liver oil, and to a lesser extent eggs). Although vitamin D is found in cod liver oil, some fish oils also contain high doses of vitamin A. Excessive vitamin A intake can be associated with side effects, including liver damage and fractures. Vitamin D is also added to all infant formula milk, as well as some breakfast cereals, fat spreads and non-dairy milk alternatives. The amounts added to these products can vary and might only be small. In the United States, commercially fortified cow’s milk is the largest source of dietary vitamin D, containing approximately 100 international units of vitamin D per 8 ounces. Vitamin D intake can be estimated by multiplying the number of cups of milk consumed per day by 100 (two cups milk = 200 international units vitamin D). In other parts of the world, cereals and bread products are often fortified with vitamin D.
If you think you may be deficient in vitamin D, talk to your doctor about getting screened and the ways you can bring your levels up.